This is our Initial Conceptual Site Layout. If the approach to the development and Zoning with the maximum capacity is acceptable then we will proceed further. we are open to accept any kind of directional comments to enrich the layout. as per our calculation we can accommodate all your desired number of containers with interesting interlocking spaces as per usage category. 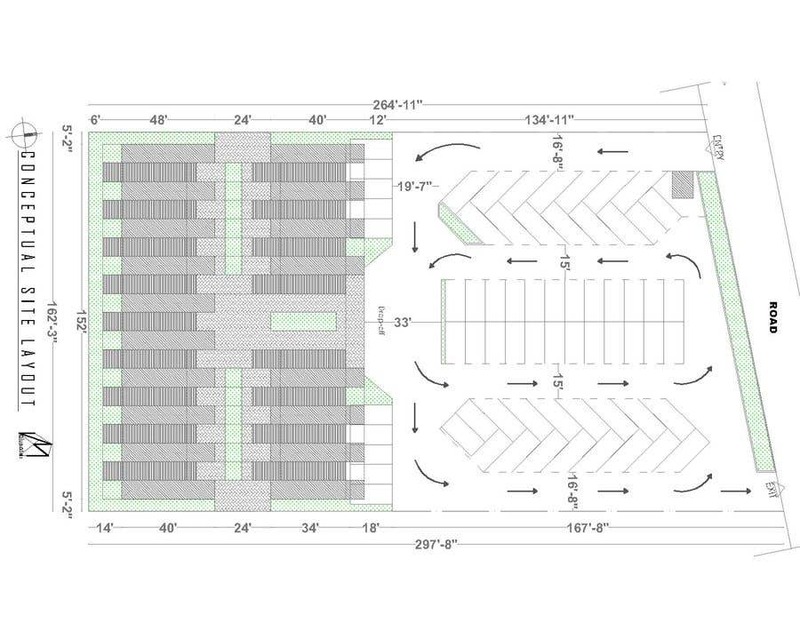 we can also accommodate your desired number of parking if we go for multilevel parking and in that case one way circulation is required to solve the ramp with out wastage of ground level space. if you are interested we can show our building module format in perspective sketches and we can show the reasoning for the Zoning, Circulation, Inner Court and usage and other issues. thank you so much for your rating. One way parking is interesting but may cause fire access issues.